If you were to sit around the dinner table with us, before long you would be asked what you want your superpower to be. And your superhero name, what would that be? 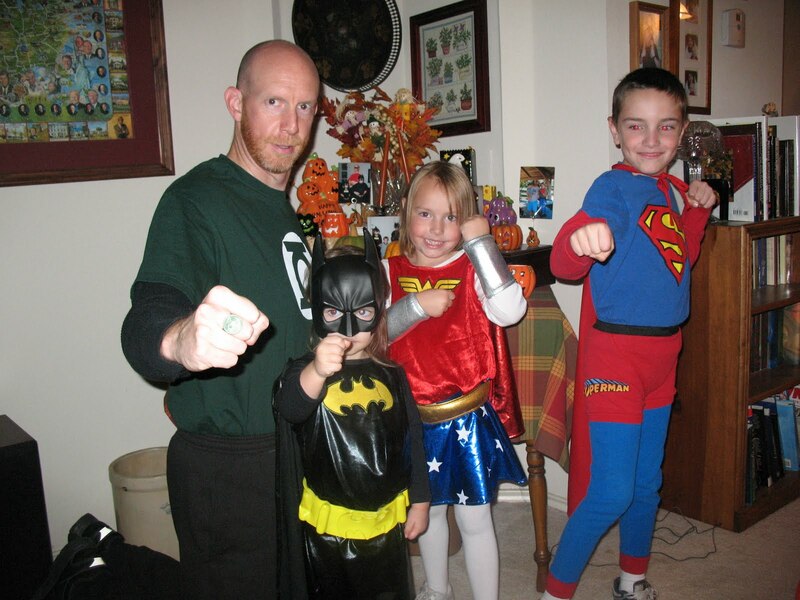 You see my kids and husband are a little obsessed with superheroes. They love to watch superhero cartoons together and discuss the merits of various powers. Sure, Batman is clever and laden with gadgets, but can he really be a superhero because he has no powers? (Answer: an emphatic and insulted YES!) Black Canary can scream really loud, does that make her different than, say, certain young girls in my household?Given Superman’s overwhelming abilities, why would anyone want to be any other superhero? Their favorite discussion is about what their own powers would be.Invisibility or flying?Super speed or super strength?Heat vision or weather control?Inevitably, the conversation turns to me.